I have a love-hate relationship with my dishwasher. I love my dishwasher in that it does wash my dishes and keeps me from handwashing the gazillion dishes I go through per day. I hate it because she's just not working the way she used to. When I first moved in, it was the beautiful nearly-new stainless steel machine. Gorgeous to look at, and took the responsibility of cleaning dishes with reckless abandon. Over time, the sparkle faded. The interior started getting gunky. Sometimes it smelled funny. But the worst part? Dishes started coming out less-than-clean. Spots on the glasses, dried funk on the plates. WHAT IS HAPPENING, I'd wonder? 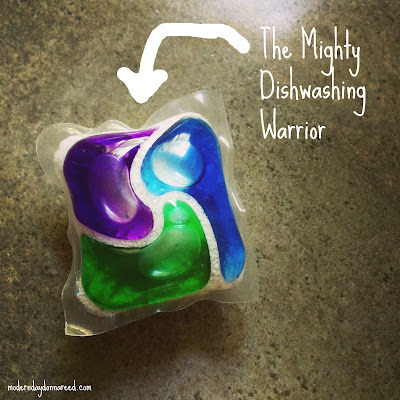 I tried cleaning the interior, running a vinegar rinse, and just about every product out there that is supposed to bring the sparkle back into the life of a dishwasher. I tried new brands of detergent, gel packs, powder, all natural. So I sucked it up. I started really pre-washing all the stuff I put into my dishwasher. Hubby would roll his eyes and suggest that a dishwasher was pointless if I was going to handwash everything first. What can I say? I like to be thorough. 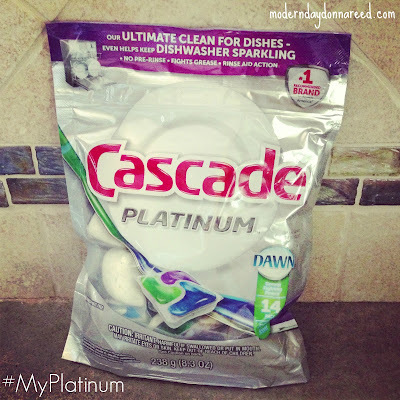 I was about to give up all hope when I had the opportunity to try out Cascade Platinum Dish Pacs. And? ZOMG. It's like the heavens opened up, trumpets blared and angels sang of the glory of clean dishes. I love love love these pacs because not only do these cute little pacs clean your dishes (yes, even the caked-on-for-24-hours nasty gunk) , but they clean your dishwasher too. I can confidently plate up meals again without fear of dried stuff, spots on glasses or the threat of something being not sanitized. Recently, Gail Simmons (Top Chef judge and and editor of Food+Wine Magazine) partnered with Cascade to give tips on the importance of presentation of meals. We worry about the prep, but if you put out a beautifully crafted dinner on boring (or worse, DIRTY!) dishes, you aren't putting your best PLATE forward. You can check out her great ideas (seriously awesome ones if you are hosting a party or having guests sometime soon) on the Cascade YouTube page or on Facebook. Want to get in on this razzle dazzle Cascade Platinum Action? Cascade is hosting a very fun Instagram Contest. Each week, Cascade will post a new theme, and fans can share their photos for a chance to win a new Whirpool Dishwasher. One grand prize winner will get a new Kitchen Makeover! Holla! 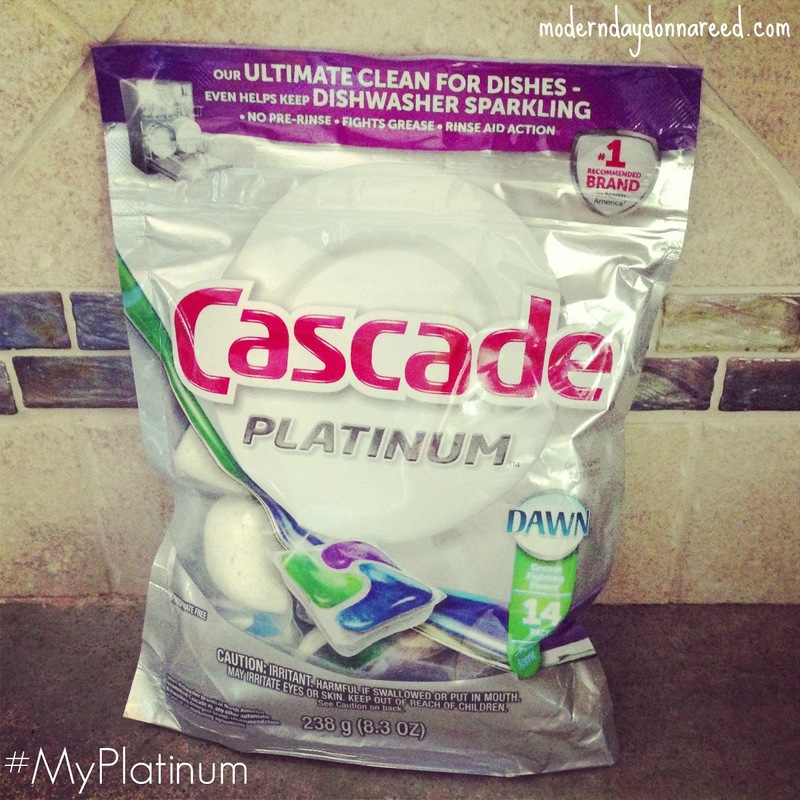 Make sure to use the hashtag #MyPlatinum and tag @MyCascade to participate! Head over to to the contest now to start sharing photos! 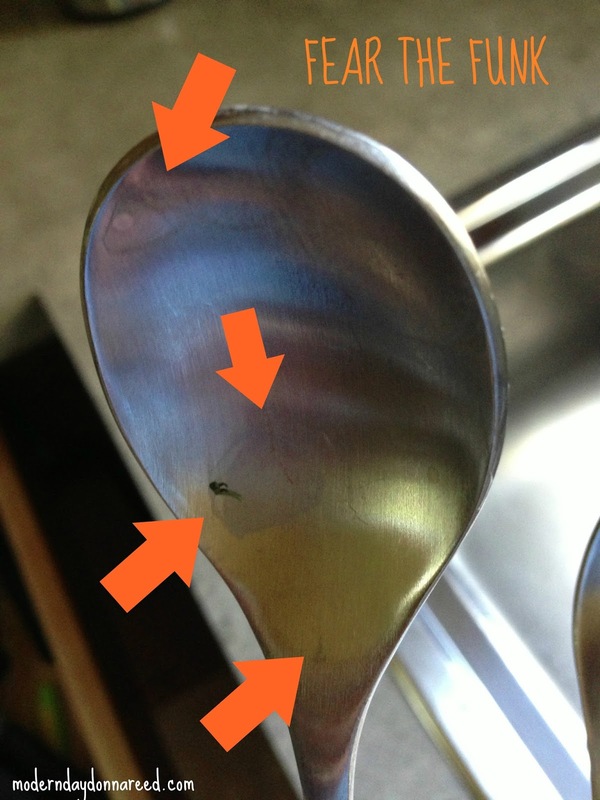 What's your worst/most scary Dishwasher story? What have you found works best to keep your dishes AND dishwasher clean and sparkly?